Professional CV writers with in depth industry knowledge and multi job function specialization covering nearly 50 working areas. Skype interview with writer coordinator and/or easy questionnaire to be filled for collecting additional information (only if needed or you will to). 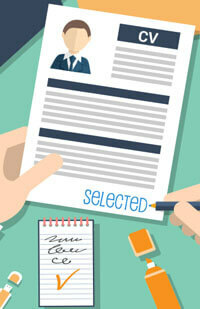 All CV`s written from ground up with detailed study of your profile. STRICTLY No generic content. STRICTLY No copy pasting. 100% ATS (Applicant Tracking System) compatible with keywords added from your industry. So your CV passes through every time. Receive first draft in 6-7 days. You can opt for faster delivery by choosing express service and receive first draft in 24 hours. That is fast CV Writing. CV is delivered by email in unrestricted Ms Word and PDF file formats. You can edit the CV at your end using the Ms Word format. Our professional CV Writing services is backed by 6 months of free revisions. Come back any time post finalization of services for edits until completion of 6 months.